Calling all Paranormal Artists for the 1st Annual Haunted Holidays Art Competition! SUBMISSION ENTRY IS NOW CLOSED. But please see the link below to vote for your favorite submissions! 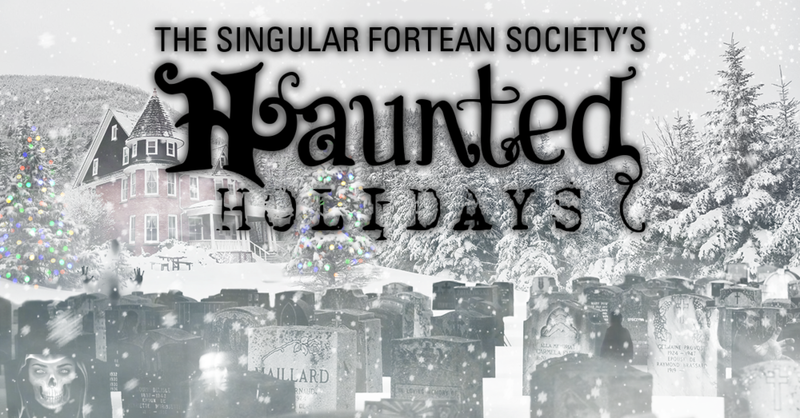 The Singular Fortean Society is cutting through the commercial noise constantly corrupting the holidays to bring our fellow forteans something a little more in the spirit of the season—but we need your help. We’re looking for artists willing to share their vision with the world and help us remind people what traditional winter celebrations are all about: the weirdest stuff you can imagine. It doesn’t matter what medium, style, or subject; we want your best paranormal-themed holiday art, anything from photographs of reputedly-haunted cemeteries with a fresh layer of snow to illustrations of your favorite Christmas monsters. So summon your inner Krampus, brush up on your Victorian Christmas ghost stories, and ask a Nisse or Tomte to handle your household chores so you’ll have plenty of time to create your entry in The Singular Fortean Society’s 1st Annual Haunted Holidays Art Competition. We will post entries on our social media channels throughout the month of December until New Year to continue the Yuletide season. We will always tag or link back to artist’s websites and social accounts to give them credit. Starting today you have a month to create your festive, spooky work of art. We look forward to seeing what you create! If you have any questions about this contest, the Paranormal Art Portal, or anything about the Singular Fortean Society—do not hesitate to reach out to us at info@singularfortean.com!